Nine First Books that Make a Lasting Impression While there's definite comfort to be had in the familiar authors, sometimes what you really want is the spark and thrill of a chance encounter — that's where first books come in. Choosing a book is often like looking up an old friend — find a familiar name and immerse yourself in a conversation with a voice you've heard before. But while there's definite comfort to be had in the familiar, sometimes what you really want is the spark and thrill of a chance encounter — that's where first books come in. A fine example of why first books are worth seeking out comes in the form of a reissue of the 1971 debut novel by actor-turned-writer Thomas Tryon. Known for parts in science fiction and horror films (including the title role in I Married a Monster from Outer Space), Tryon quit acting after a stint working for Otto Preminger and took up writing. His first novel is a subtle, insinuating portrait of psychological decay and transference between identical twin boys born, incongruously, on different days (one before, the other just after midnight) and with different Zodiac signs. The author's own ambiguous life — that of a gay man in the movies at a time when such sexuality was not to be openly discussed — informs the undercurrents in his portrayal of a town infected by madness and murder. 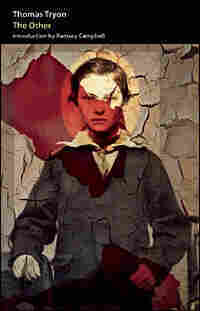 The 2008 reissue includes a perceptive introduction by British horror novelist and critic Ramsey Campbell, and several new pieces of artwork by noted surrealist Harry O. Morris. Blogger-turned-novelist Catherine Sanderson capitalizes on her popular online journal in a novel ripped from the blog-lines of her life. The title means "little English woman," which, depending on how you spin it, can be either affectionate or cutting. 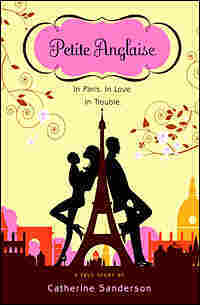 Catherine Sanderson (the protagonist) finds herself in Paris but falling out of love with Frog, the father of her daughter, Tadpole. She's no longer keen on her admin career and turns to the Internet, where she uses the popular "blogger" software to create the titular online persona. But what starts as a lark becomes a virtual romance, and life imitates Second Life in a 21st century Cyrano — minus the big schnoz. Sanderson's witty blog translates well as she leans on the truth-turns-to-fiction button. Her prose is infectious, and even when things are dire for her character, they're a delight for the reader. First books that collect short stories by a single author are rare; it's an honor given only to the best writers. 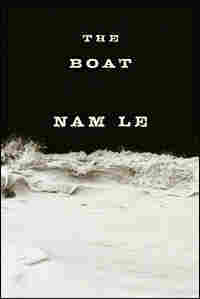 Vietnamese-born Nam Le offers ample evidence of immense talent in his debut collection, The Boat. Le writes in a remarkable variety of voices and tones, with prose so transparent you won't necessarily even notice that you're reading. You'll simply disappear into the characters and lives Le creates, whether it's a 14-year-old hit man in Columbia ("Cartagena") or an aging New York painter preparing to see his daughter's debut in Carnegie Hall ("Meeting Elise"). At least three of the stories, including the previously unpublished "Halflead Bay," come in at novella length. Another heretofore-unpublished story, "Tehran Calling," is an unexpected thriller set in the Iranian capital. You'll have a hard time finding common threads here besides stellar writing. 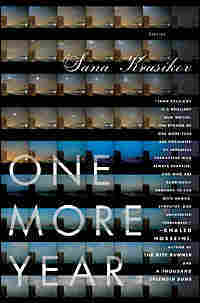 The temporary textures of lives in transit thread through the short stories in Sana Krasikov's debut collection, which focuses on Russian immigrants and exiles, characters who have been uprooted so often and so violently that their only notion of home is that which they carry within themselves. Krasikov's tales of emigres and escapees remind the reader just how different the short story form is from a novel. "Maia in Yonkers," in which a woman from Tblisi who has managed to get a footing in America receives a brief visit from her now-teenaged son, is a little miracle of compression. In "Companion," Ilona is a young Russian divorce who has become the live-in companion to Earl, an older man who permits her to stay with him even as she unsuccessfully (and humorously) dates men closer to her own age. When Earl has a heart attack, his son and daughter, Lawrence and Lucinda, show up and suggest that she'll need to find some other place to live. "Like anyone else, Lawrence would be gracious until the time came to be cruel," writes Krasikov. Krasikov's characters find it harder than most to make ends meet mentally and financially, and the author is brilliant at putting the reader seamlessly into these unmoored lives — giving us a lifetime of disarray and departures in a few compelling paragraphs. 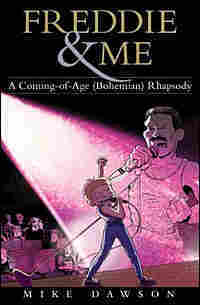 Memories and melodies are mixed and illustrated in Mike Dawson's graphic memoir, which chronicles his lifelong obsession with the band Queen and offers a charming and ultimately insightful look at the way our interests shape our lives. Beginning with his childhood in the U.K. and his rapturous infatuation with Queen on the telly, Dawson brings readers along for his family's relocation to the United States, his first crush, his career and beyond. Throughout it all, the members of Queen and other musical influences slide surreally in and out of the frames. There's a wistful air of self-deprecation in Dawson's writing and illustration, as well as a killer backbeat. Shortly after her mother succumbed to ovarian cancer, Jessica Queller had herself tested for the so-called "cancer gene," and learned that she had nearly a 90 percent chance of getting breast cancer and a strong chance of getting ovarian cancer. Her doctors told her that she could either have herself screened regularly, hoping she caught any incidence of cancer in time, or undergo a prophylactic double mastectomy. Unmarried and without children, the 34-year-old television writer decided to undergo the radical surgical procedure. Pretty Is What Changes is a frank, funny, poignant and powerful memoir of Queller's life after the BRCA test and the surgery that changed her body and challenged her sense of self. She writes with clarity and a sense of humor about living in a world where science has slipped past our social safety net, leaving individuals to make decisions once relegated to informed experts. Deftly navigating the collision of technology, morality and self-image, Queller's book provides an enjoyable vision of the power of one woman in an age of overwhelming and not-necessarily-helpful information. After a falling out of corporate law in drug-linked disgrace, Joel Deveraux ends up in the New York Public Defender's office, where he represents smarmy students popped on minor possession raps. His break comes when he gets second chair on the racially charged shooting of a white college student by a black pot dealer. And it's just as quickly put in jeopardy when his past comes back to haunt him. Peacock's gritty look at the bowels of the legal system is informed by his legal training, and he paints a complicated, engaging portrait of a city where it's a five-minute walk from high rises to low life. 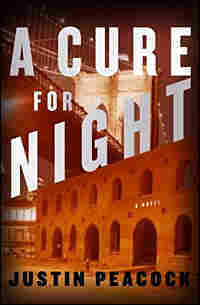 In A Cure for Night, Peacock portrays lawyers as storytellers who, like novelists, know that the truth doesn't always make for the best story. On the island nation of Altania, the Lockwell sisters make do while their father, perhaps injured by his experiments with "magick," remains sequestered in the library of their home. Ivy, the eldest and the most beautiful, is the studious sister, known for reading as she walks down a street; Lily is the romantic; Rose, a bit of a prophet. Ivy accepts an offer from her father's friend, Mr. Quent, who requests that she come to his country home to act as governess for his two young wards. There she discovers that her family is part of a secret society and that magick is not just a fashionable pastime, but perhaps more powerful than she ever suspected. 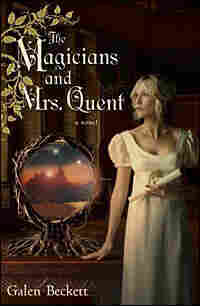 Though this may look like the sort of book you'd find nestled in a shelf of paperback potboilers at a beach rental, don't judge The Magicians and Mrs. Quent by its cover. Galen Beckett's debut cleverly mixes fantasy and literary in a novel that imagines the social strictures that hemmed in Austen's and Bronte's heroines are the result of magical intervention. The novel's supernatural elements and imaginary (but familiar-seeming) setting allow Beckett to examine class and economic conflicts from the outside, without resorting to polemics. The result is a work that mixes the rich pleasures of a Victorian epic with elements of the fantastic, an imaginative eye and a dry sense of humor. Author Nicholas Pekearo was a volunteer cop who was killed in the line of duty on March 14, 2007, in the Greenwich Village neighborhood where he grew up. He offers what we hope for in a first novel: a raw voice bristling with energy. Dishonorably discharged after a tour in Vietnam, Marlowe Higgins is a man wrapped around a beast who must kill. He cannot stop the wolfman within, but he can make sure that those he kills deserve to die. It's vigilante justice meted out by a monster, a police procedural with fangs and claws. As a first-person narrator, Higgins tells his story in a rough vernacular that's not just unreliable — he also seems dangerous and unpredictable. Every sentence creates tension because it's just not clear how far Higgins will be pushed or how far he will go. Pekearo taps into a current of anger so pure that the metaphor of the werewolf becomes a natural outlet, rather than simply a supernatural one. 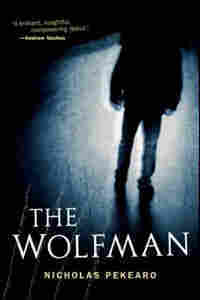 Powerful without polish, The Wolfman may star a supernatural detective, but it reads like a gritty retro-crime thriller. You can feel the street in the prose of this energetic and tragic debut. Rick Kleffel reviews books for newspapers and magazines, covers arts and authors for NPR affiliate KUSP and blogs about books and podcasts daily from his website, The Agony Column.